Happy Thorsday to all! Lady Thor is here and she is here to stay (for at least a little while). I will delve into the details a bit more below, but an interesting twist that may have me reading Thor for the first time. The big news this week is that Marvel finally settled with the Kirby estate. They won't release details, but hopefully it featured a lot of cold hard cash. Finally, if you missed out on the great Valiant Humble Bundle, or if you picked it up, you should act now and pick up the new Humble Bundle from Oni Press! Not only to you get amazing digital comics, including Scott Pilgrim, The Sixth Gun, and Helheim, you are raising funds for charity! 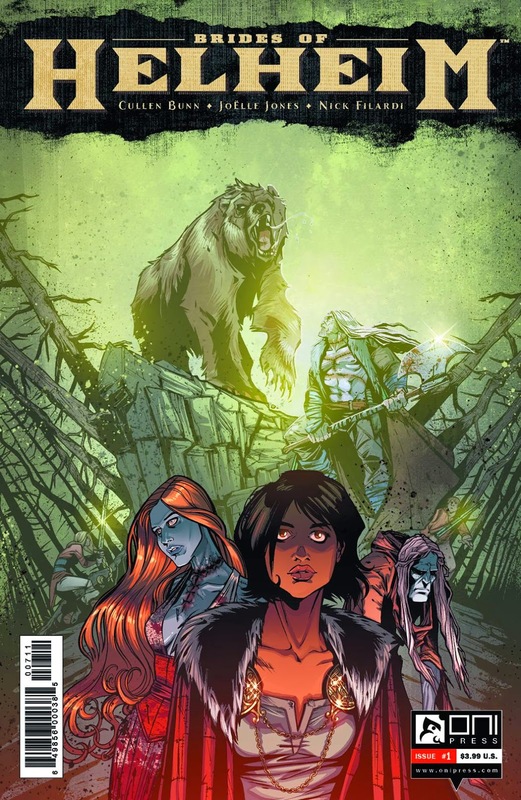 Brides of Helheim #1 - When this was announced some time back it was like music to my ears. I could not wait to return to this beautiful and savage world that Cullen Bunn and Joelle Jones created. Following the events of Helheim, Rikard, now an undead Draugr, lives an isolated life with Bera and Groa. A girl who is desperate to protect her village from an evil force, seeks Rikard's help. Jones should be allowed to illustrate any comic book she wants. Her style is a perfect match for this story. It is a dark horrific tale, but with a glimmer of hope. Her juxtaposition of the beautiful with the horrific are a reflection of Rikard himself. It is going to be a long wait for next month's issue. 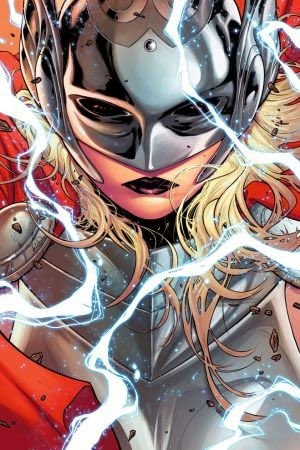 Thor #1 - Lady Thor is here. While I feel that this is purely a gimmick, the idea that Thor is deemed unworthy due to one of the Watcher's secrets is an interesting premise. I was surprised how emotional it was to see Thor struggle with the fact that he is no longer worthy. In a true confession, I have read very little Thor in my day. Despite this, it was enjoyable and included Thor riding a goat to the bottom of the ocean. That is not a typo. 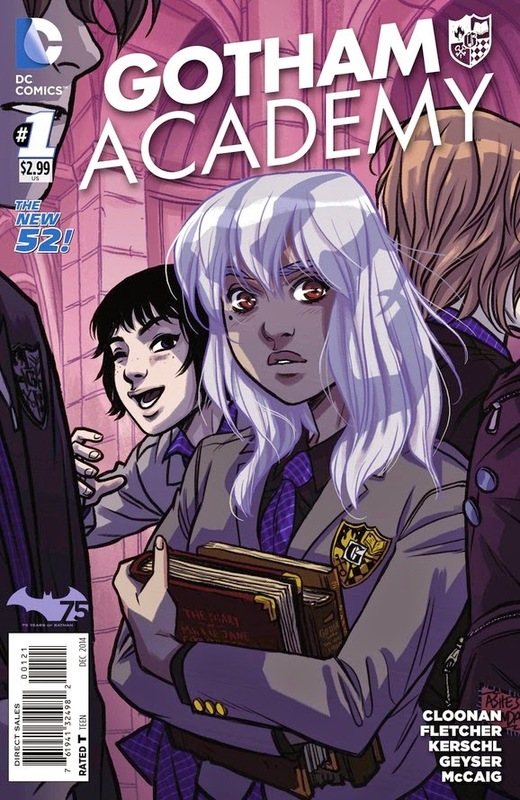 Gotham Academy #1 - Becky Cloonan, Brandon Fletcher, and Karl Kerschl deliver an amazingly fun debut this week. People within the industry were hyping up this title on the Twittersphere and it was an absolute blast. In a bizarre mash-up that includes Harry Potter, Rushmore, Morning Glories and Batman, we learn about a preparatory academy in Gotham that is likely haunted. The mystery surrounding the school and the rebellious Miss Silverlocke are enough to keep me hooked until the next issue. The Walking Dead #132 - My jaw hit the floor at the conclusion of this issue. What started out well and good, as the issue is titled "Happiness", Robert Kirkman pulled a fast one on me and delivered a shocking answer as to how the dead might have evolved to the point of speaking. I still have chills thinking about what lies ahead for Rick and crew when they learned what is going down beyond the walls. 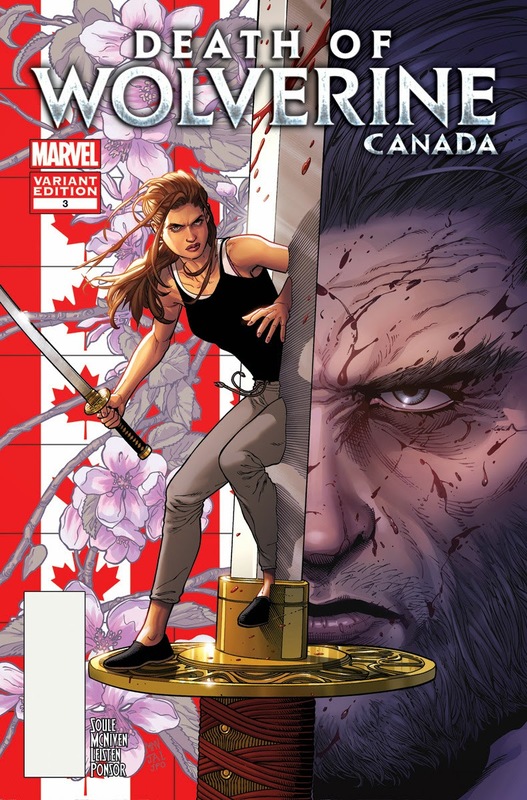 Death of Wolverine #3 - While skeptical of this series, Charles Soule and Steve McNiven have really produced a solid story in a great looking package. While the basic story is pretty simple, each issue has been an enjoyable read that I would strongly recommend. It will be interesting to see how long Wolverine remains deceased, but that shouldn't take away from a quality series that is worth your time.